Alex and Conner Bailey’s world is about to change, in this imaginative, fast-paced adventure that uniquely combines the modern-day world with the enchanting realm of classic fairy tales. The Land of Stories tells the tale of twins Alex and Conner. Through the mysterious powers of a cherished book of stories, they leave their world behind and find themselves in a foreign land full of wonder and magic where they come face-to-face with the fairy-tale characters they grew up reading about. But after a series of encounters with witches, wolves, goblins, and trolls, getting back home is going to be harder than they thought. Chris Colfer is a Golden Globe-winning, Emmy and SAG Award nominated actor, #1 New York Times bestselling author, screenwriter and producer. Colfer has been included in the TIME 100, Time Magazine's distinguished annual list of the one hundred most influential people in the world. Colfer is the author of the #1 New York Times bestselling series, The Land of Stories, a fast-paced adventure that uniquely combines our modern-day world with the enchanting realm of classic fairytales. The multimillion copy series has been translated into twenty-six languages around the world and has expanded to include picture books, audiobooks, companion chapter books, and soon, a graphic novel. 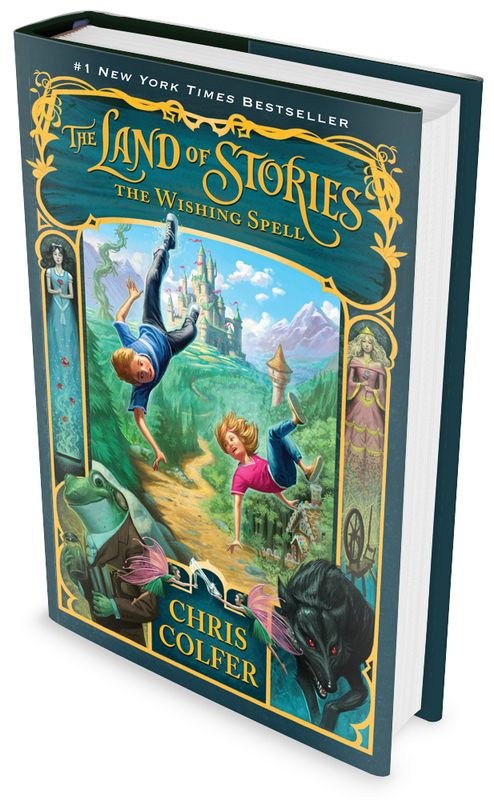 Colfer has recently teamed with Twentieth Century Fox and Shawn Levy’s 21 Laps to adapt The Land of Stories for the big screen, beginning with The Wishing Spell, the first book in the series. In addition to penning the screenplay, The Wishing Spell will mark Colfer’s directorial debut. The Wishing Spell debuted in 2012 as a #1 New York Times bestseller and spent five consecutive weeks on the list. Two instant bestselling books followed: The Land of Stories: The Enchantress Returns in 2013 and The Land of Stories: A Grimm Warning in 2014. Colfer’s fourth book, The Land of Stories: Beyond the Kingdom, was released in July 2015 and debuted at #1, as did the fifth installment, The Land of Stories: An Author’s Odyssey, which debuted in July 2016. In addition, Colfer recently released The Land of Stories: A Treasury of Classic Fairy Tales, which contains more than thirty-five classic fairy tales and nursery rhymes, plus a survival guide to the Land of Stories. On July 11, 2017, the highly anticipated conclusion to the series, The Land of Stories: Worlds Collide, debuted at #1 on the New York Times series bestseller list. Colfer’s first picture book The Curvy Tree, inspired by a tale in The Land of Stories, was released in Fall 2015, as was Adventures from the Land of Stories Boxed Set, which includes two original companion volumes featuring characters from the series: Queen Red Riding Hood’s Guide to Royalty and The Mother Goose Diaries. An action-packed graphic novel featuring outlaw and fan favorite, Goldilocks, will be released in 2018. 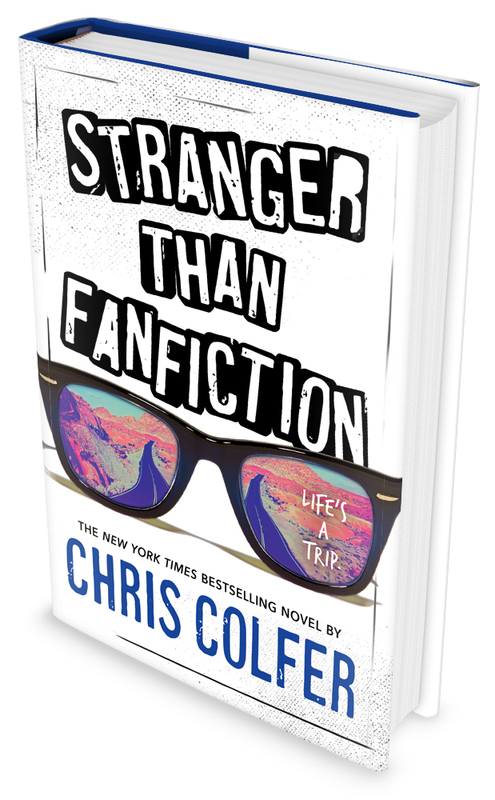 Stranger Than Fanfiction, Colfer’s second young adult novel, also a New York Times bestseller, was released on February 28, 2017. Colfer has partnered with Sonar Entertainment to develop the sci-fi drama series Indigo, which he created and is set to star in and executive produce, as well as direct the pilot. The project explores the mysterious world of Indigo children, who are often misdiagnosed but in fact believed to possess extraordinary paranormal abilities, and the dark forces out to exploit them. Colfer recently appeared in Julie Andrews’ Netflix show Julie’s Greenroom, which aims to introduce children to various aspects of the performing arts. The show debuted in March of 2017. In the Summer of 2016 Colfer appeared in Fox Searchlight’s Absolutely Fabulous: The Movie, a big screen extension of the hit television series. In Spring 2015, Colfer wrapped the sixth and final season of the popular Golden Globe® and SAG award winning series, Glee. His performance as Kurt Hummel has earned him a Golden Globe®, a SAG nomination, as well as two consecutive Emmy® nominations, three People’s Choice Awards, and two Teen Choice Awards. In January 2013, Colfer starred in the independent film Struck By Lightning, which he also wrote and executive produced. Brian Dannelly (Saved) directed the coming-of-age comedy which also stars Allison Janney, Christina Hendricks, Dermot Mulroney, Sarah Hyland and Rebel Wilson. The film made way for Colfer’s first young adult novel Struck by Lightning: The Carson Phillips Journal, which like the movie, follows Carson Phillips, an outcast high school senior who dreams of becoming an editor of The New Yorker. A native of California, Colfer currently resides in Los Angeles. Published by Little, Brown Books for Young Readers in 2013. Published by Little, Brown Books for Young Readers in 2014. The Masked Man is on the loose in the Land of Stories, and it's up to Alex and Conner Bailey to stop him... except Alex has been thrown off the Fairy Council, and no one will believe they're in danger. Fairy tales and classic stories collide in the fourth adventure in the #1 New York Times bestselling Land of Stories series as the twins travel beyond the kingdoms—now in paperback! Published by Little, Brown Books for Young Readers in 2017. In the highly anticipated conclusion to the Land of Stories series, Conner and Alex must brave the impossible. All of the Land of Stories fairy tale characters—heroes and villains—are no longer confined within their world! Featuring Mother Goose and Queen Red Riding Hood, fan favorite characters in the Land of Stories series, this boxed set is a must-have for new and old fans alike. 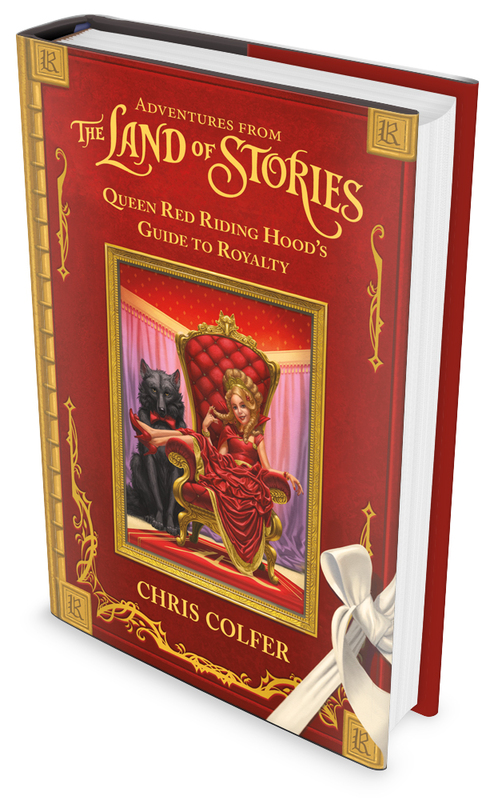 From New York Times bestselling author Chris Colfer comes two new books about two beloved characters, Mother Goose and Queen Red Riding Hood. Mother Goose's diary entries over the last five hundred years take readers on a journey to learn buried secrets; and the young queen gives us her take on politics, government, health, love, and of course, what it means to be royalty. The debut picture book from #1 New York Times bestselling author Chris Colfer. Based on Chris Colfer’s original screenplay for Struck By Lightning, the major motion picture released by Tribeca Films. Published by Little, Brown Books for Young Readers, Atom Books, and Hachette Audio in 2012 and 2013.